It is a drop in the bucket. 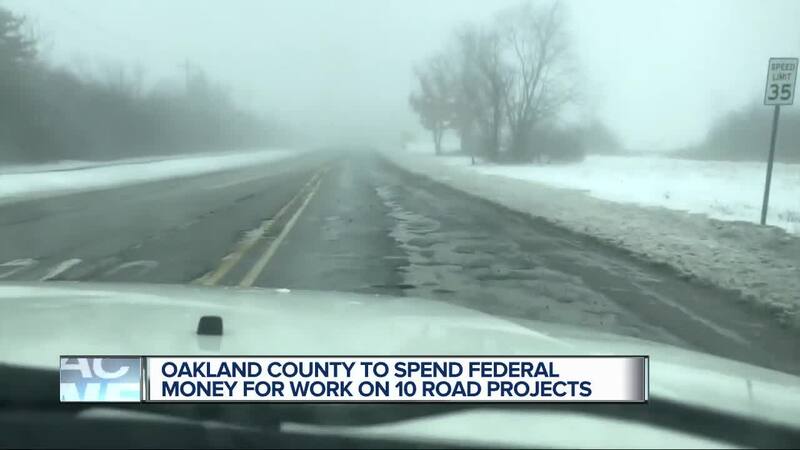 Oakland County gets $17 million a year from the feds to help fix the roads. This morning a group of about some 40 local and county officials approved the list of 10 projects. They do this three-years in advance, so these are the projects that will be done in 2022. PONTIAC, Mich. (WXYZ) — It is a drop in the bucket. Oakland County gets $17 million a year from the feds to help fix the roads. This morning a group of about some 40 local and county officials approved the list of 10 projects. They do this three-years in advance, so these are the projects that will be done in 2022. The roads are selected and voted on based on safety, condition of the road and the volume of traffic on it. One of those is Decker Road from 14 Mile to Maple Road in Walled Lake. People we talked with say this is badly needed as they’ve dodged potholes for years. The road will also be widened in the project. Shiawassee Rd, Eight Mile Rd to Inkster Rd., Southfield. Pontiac Trail, Haggerty to Green Lake, West Bloomfield Twp.